Parenting teenagers can be one of the most challenging and rewarding (ad)ventures of your life! When you learn to do it well and from your good heart, you and your teenage son or daughter will benefit greatly. 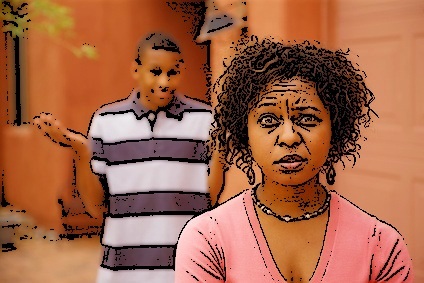 The angry teenager in your life has very good reasons to be angry! Your job as a parent is to understand the pain and fear that is behind their anger. You may not know much about their pain and fear, because it's really hard for teens to talk about those things sometimes. You can, however, find out what they're feeling beneath the anger, which will help their anger to subside. Remember, your angry teen is not bad or wrong for being angry! "To help an angry teenager, you must get to the cause of their anger. When you bring empathy and compassion to their hurt and fear, their anger will dissolve before your eyes." The most important thing is for you to be healthy and to take good care of yourself. If you are not addressing your own issues around anger, addiction, depression or marriage problems, you will have a very hard time parenting teenagers with anger problems. 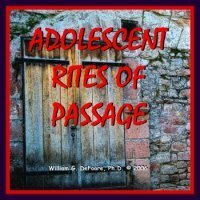 Next, you need to understand adolescence, and what it means. As a part of normal development, most teenagers...Rebel or "push away" from parents and authority figures, and this usually involves some kind of anger.This pushing away is a natural part of development and should be supported and encouraged by parents--without supporting or encouraging any destructive behavior.Adolescence is a rite of passage from childhood to adulthood, and can be very confusing and frustrating for teens.It is your job as a parent to understand your teen son or daughter's needs and make sure they are met. Keep reading for the help you need! Perhaps your biggest challenge of all is to strike a balance between providing responsibility and freedom for your teenager. They must learn responsibility as they enter adulthood, and they definitely want freedom. So, in parenting teenagers, you have to set up a kind of economy where the adolescent "buys" freedom by taking responsibility. It's not as simple as that, but that's an important piece of the puzzle. It is extremely important in parenting teenagers that you pay attention to any kind of depression, self-destructive behavior or suicidal tendencies. I don't have to emphasize how important this can be. Learn more about preventing teen suicide. I highly recommend that you get a copy of this CD/audio program today! It will teach you about parenting teenagers by honoring and celebrating their journey from childhood to adulthood. Want some specifics about dealing with anger problems? Get your copy of this audiobook below, and get started now on your road to healthy productive relationships with your teens! 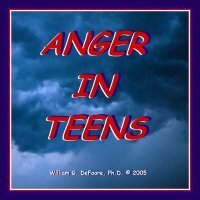 "The Anger in Teens download is very informative. I see my daughter in a new light. She isn't my small child anymore, but rather my young pre-adult who is finding her way and transitioning into adulthood. I'll continue to practice my reflective listening and give her love and compassion when her anger starts to rise. I've noticed a considerable improvement already. Peace is slowly returning to our household." Don't wait! You have nothing to lose here, because of our 100% money-back guarantee. Get your copy of these excellent audiobooks now! Get involved, learn from other parents and offer your own two cents on this parenting teenagers blog.